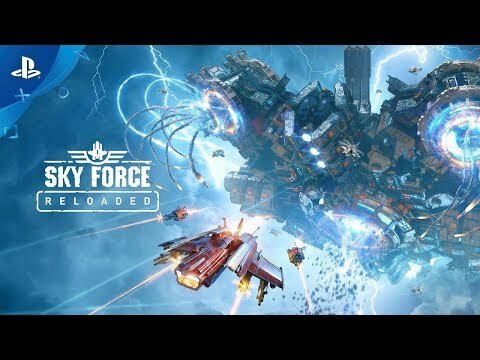 Sky Force Reloaded is a modern, air-based shooter and a new installment of the original Sky Force - a near-perfect shoot ’em up that scored a magnificent 9.5/10 on IGN over a decade ago. Find all the things you’ve come to love in scrolling shooters. Meaty explosions, incinerating lasers, colossal bosses and plenty of aircraft to pilot. Those who are ready to save the world will have to blast through hordes of enemies in the extensive single-player campaign: upgrade their ship with devastating power-ups, fight gargantuan bosses and blow up a ton of nasty enemies -- including choppers, fighters, tanks, and turrets -- or risk everything to save civilians. Completing the main campaign won’t be the end of the adventure -- players can invite their friends and enjoy the game in local co-op mode, fulfill additional goals (such as completing a mission without a scratch or rescuing all civilians), and, finally, they can compete with others by participating in weekly tournaments that take place on unique new levels, updated every seven days. But is the victory worth more than honor? Winning is not all; players can also be rewarded for rescuing other pilots who’ve already been taken down! 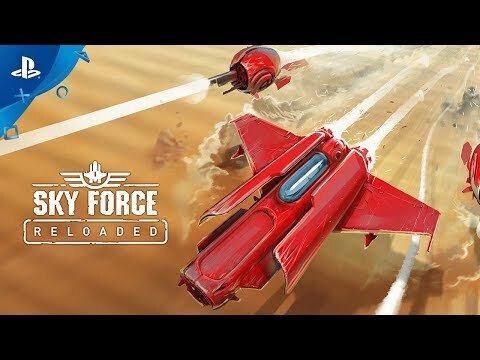 See Sky Force Reloaded in Action!